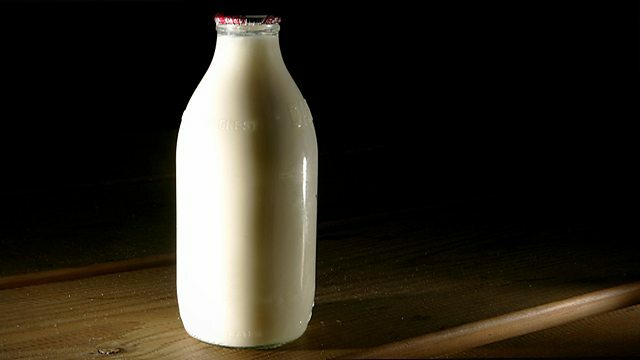 BBC Radio 4 - The Food Programme, What is milk? What is milk? Full fat, low fat, semi skimmed, raw, filtered: Sheila Dillon explores the evolution of the white stuff from early farms to commodity. Filtered, homogenised, standardised, raw, full fat, low fat - what is milk? Sheila Dillon teases out this seemingly simple question with Professor Peter Atkins, author of Liquid Materialities: A History of Milk, Science and the Law, who charts the changing stuff that we call milk. Today's milk reflects today's interests, charted by Mintel in their most recent intelligence report on milk and cream, particularly the success of filtered milk Cravendale (Arla), and the 1% pioneered by Robert Wiseman Dairies, and widely copied since. Sheila visits the Arla Dairy in Stourton, Leeds, to find out about the many processes today's milk goes through to suit our current tastes. The success of the 1% milk has been driven by the FSA campaign to reduce saturated fats. But as Professor Ian Givens Director of the University of Reading's Centre for Dairy Research explains, the evidence connecting milk consumption with cardiovascular disease shows a slight reduction in higher milk drinkers from lower milk drinkers. Raw milk, despite being banned in Scotland and sold with a health warning in England and Wales, has seen sales growth recently, a result of farmers markets, online sales, and the beliefs of many that raw milk straight from the cow is a fundamentally different substance. Dr Natasha Campbell McBride advocates raw milk for many of her patients for a range of conditions, including lactose intolerance. To find out about modern raw milk production Sheila visited Hook & Son, who sell online and through farmers markets.